Until now it’s fair to say DJI have been concentrating on the ‘aerial’ part of ‘aerial video’ – their cameras got the job done but it felt like they weren’t as advanced as the drones they were strapped to. 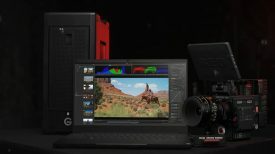 The company’s latest announcements, however, demonstrate how seriously DJI is taking the imaging side of their offering, and although the higher-end offerings aren’t cheap, they’re certainly going to offer image quality and resolution that would have seemed impossible only a few years ago in a small, stabilised package. 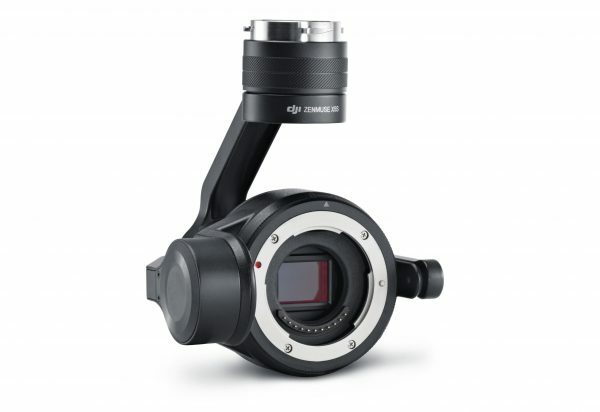 The Zenmuse X4S sacrifices the interchangeable lens and large sensor of the X5S for reduced size and cost. The new cameras, then, are the Zenmuse X4S and Zenmuse X5S. The less expensive X4s has a 1-inch 20 megapixel sensor and a built-in lens with a field of view equivalent to a 24mm lens in 35mm terms. 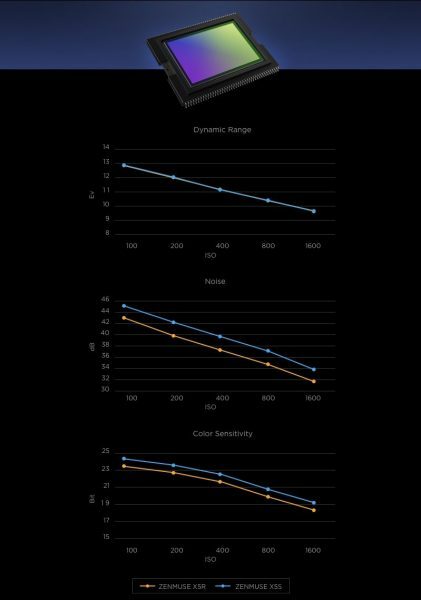 The camera has a remotely controllable aperture, from f/2.8 to f/11 and the company are claiming the sensor offers an (oddly precise) 11.6 stops of dynamic range. The big news here is a mechanical shutter that DJI claims ‘cancels rolling shutter distortion.’ There is little detail about how this works, but its interesting that this appears to be a mechanical and not electronic solution. Obviously we haven’t seen a sample yet but here’s hoping DJI have been able to keep the overall camera package small while mitigating one of the great bugbears of action cameras. 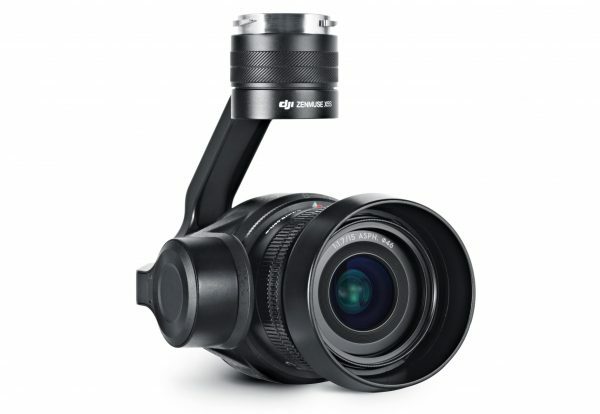 DJI’s Zenmuse X5S is the company’s new flagship camera. The Zenmuse X5S is a step up, both in terms of physical size and capability. It features a 20.8 megapixel Micro Four Thirds sensor with a claimed 12.8 stops of dynamic range. Is seems it also features a new mechanical shutter (although this isn’t 100% clear at time of writing) and can shoot RAW still frames at 20fps. And when mounted on an Inspire 2 with the assistance of the drone’s image processor the camera is capable of recording 5.2K RAW video as 12-bit Adobe CinemaDNG. The X5S is compatible with a range of MFT lenses, and the Inspire 2 should provide a more stable platform to fly them from. The X5S works with ten Micro Four Thirds lenses including at least one zoom (the Olympus 9-18mm) – more than the previous X5 which had a more limited range of compatible glass. 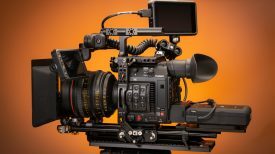 A handheld mount for both cameras is planned ‘in the future’ so it sounds like it will be possible use them on the ground once you’re done with your drone, though it’s not clear whether existing Osmo owners will be able to mount them. Unanswered questions for now also include AF performance – hopefully improved over the regular X5 which doesn’t really track in AF right now. It also sounds like the increases in bitrate and quality over the previous Zenmuse X5 camera are made possible largely by the upgraded electronics in the airframe itself. What this means for backwards compatibility for existing X5 mount owners is unclear. The Inspire 2 with Zenmuse X5 mounted. 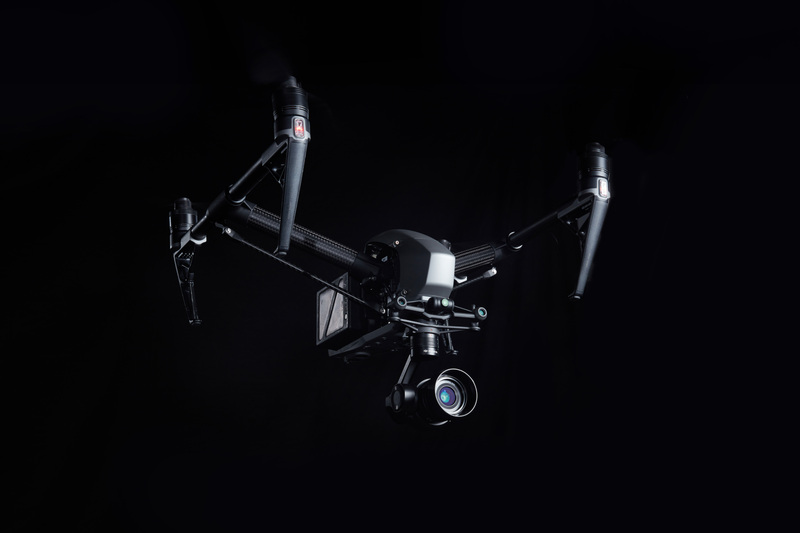 But these cameras are primarily aimed at aerial shooters, and DJI’s Inspire 2 could be the drone to get them airborne. There are lots of changes and improvements over the Inspire 1, aimed at making the device safer, more capable and easier to fly. 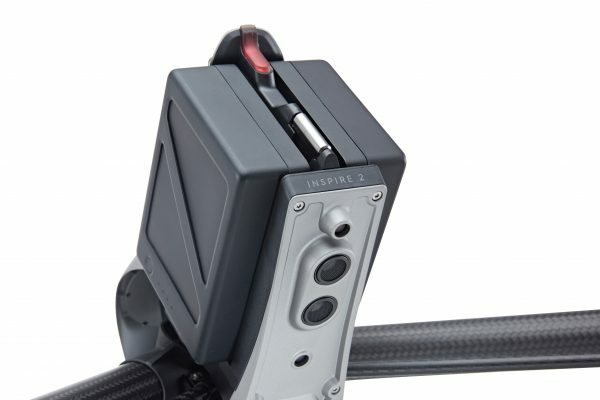 A new forward-facing integrated camera, for example, gives the operator a drone’s eye view of where the Inspire 2 is flying, while feeding footage from the main Zenmuse-series camera to a second operator who can concentrate on the visuals – a much requested feature that many professional drone operators deem to be essential. The Inspire 2 packs dual batteries for redundancy, and sports various sensors to allow it to build up a 3D map of its surroundings for collision avoidance. There’s now a dual battery system, so if one fails mid-flight the other can take over and prevent the drone just dropping out of the sky, and maximum flight time is 27 minutes. 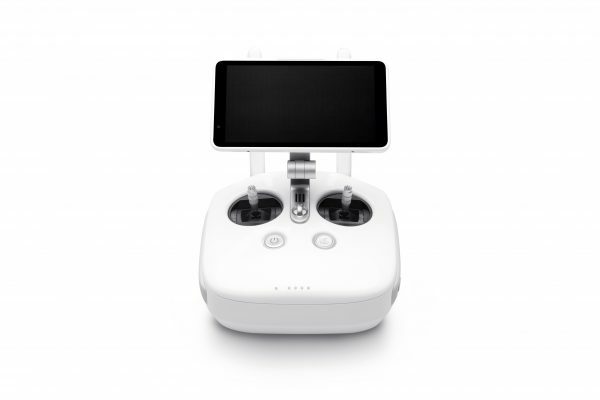 The controller can switch between 2.4 GHz and 5.8 GHz frequencies to avoid congested channels, and there are a range of automated assistance features built in to the drone to track subjects and routefind automatically while avoiding obstacles. These functions are enabled by a suite of embedded sensors: stereo vision on the front and bottom of the drone, and infrared sensors on top. The Inspire 2 and X4S camera. The drone will mount one of the Zenmuse cameras, which will communicate with the drone’s image processor. Called CineCore 2.0, the electronics are part of the drone’s airframe and allow it to process data at a whopping 4.2Gbps for 5.2K RAW video. 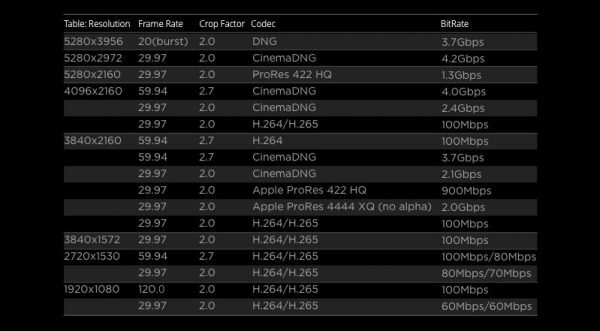 If that seems a bit much, other codecs are also supported: Apple ProRes 422 HQ (5.2K, 4K) and ProRes 4444 XQ (4K), H.264, and H.265, with a bitrate of up to 100Mbps when recording 4K to h.264 or h.265. It seems that some of these codecs will require the separate purchase of license keys to work . 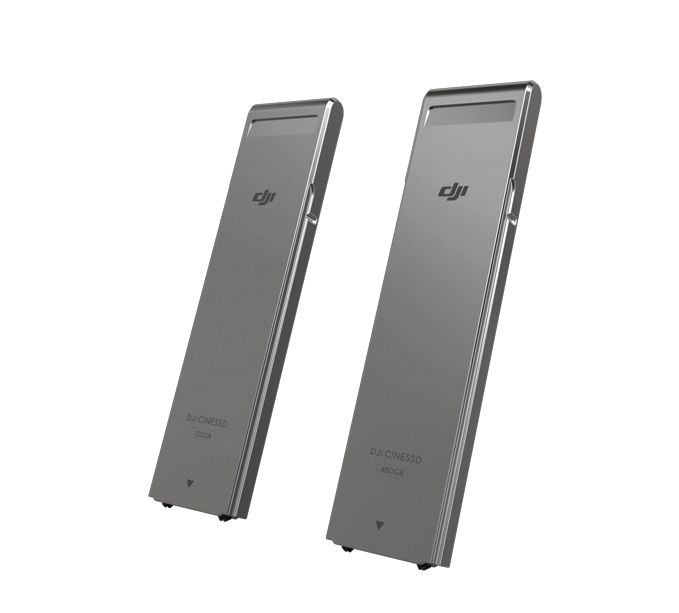 DJI’s CINESSDs in 120GB and 480GB capacities. Wallets: brace for impact. 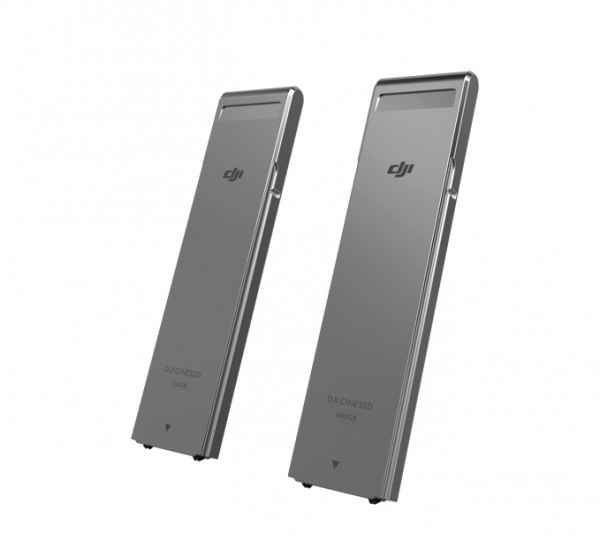 To store all that data DJI are offering a proprietary CINESSD: the pictures above make it look quite long and thin, and it seems likely that there’s some kind of NVMe PCIe storage tucked away in there (though that’s just me idly speculating at this point *slapped wrist emoji*). The new SSD drive appear different to the current X5R SSDs – a move that is sure to upset some existing owners if they are not compatible. No prices yet but probably best to budget a little more than for some knock-off microSD cards from eBay. 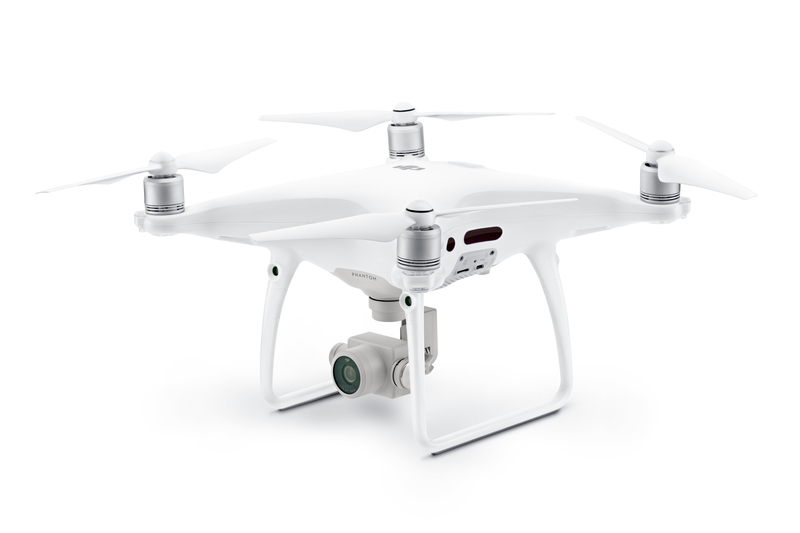 The Phantom 4 Pro updates the Phantom 4 with a new camera and expanded autonomous capabilities. If the Inspire 2 feels like altogether too much drone for you, DJI have also announced an update to the Phantom 4. Called the Phantom 4 Pro, it features an integrated 1 inch, 20 megapixel sensor camera with ‘almost 12 stops’ of dynamic range. Interestingly it too gains the mechanical shutter from the new Zenmuse cameras, with the same aim of eliminating rolling shutter artefacts. 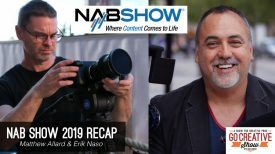 You can shoot in 4K at up to 60fps, encoded in h.265 – although the data rate tops out at 100Mbps (still an upgrade from the Phantom 4’s 60Mbps). 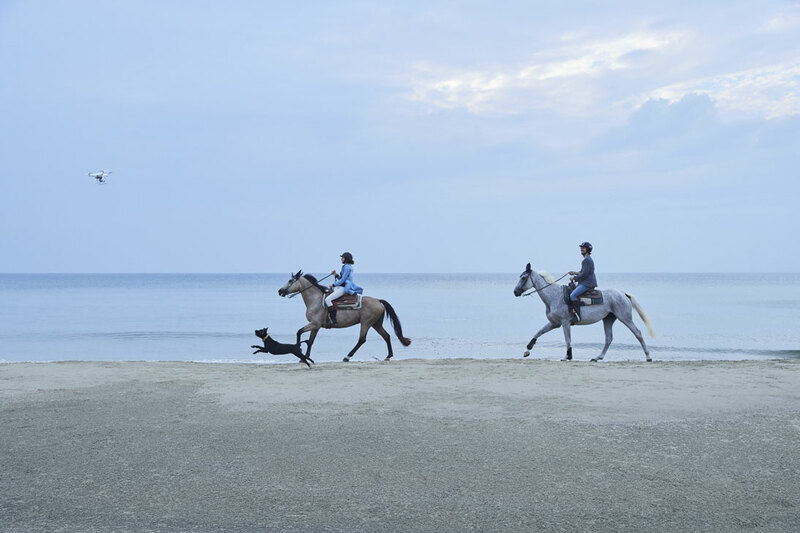 The Phantom 4 Pro’s Dog Avoidance Feature will be a paid firmware upgrade. Probably. FlightAutonomy is DJI’s enhanced collision avoidance system, that builds a 3D map of obstacles using visual sensors to detect objects in front of, behind and below the drone. Side-mounted infrared sensors also help the system plan and fly routes autonomously, and a single battery provides up to 30 minutes of flight time. There’s also a new controller, with built-in GPS, compass, Micro-SD card slot, HDMI port and an optional high-brightness monitor that DJI say is viewable even in direct sunlight. The Phantom 4 Pro’s controller, seen here with the optional monitor. The updates to autonomous flying include new Circle, Profile and Spotlight tracking modes in the drone’s ActiveTrack system, which locks onto shapes it recognizes such as people or bikes and keeps them in shot. The Phantom 4 Pro starts out at $1,499 US with a standard controller. The Phantom 4 Pro+, which includes the ‘high luminance’ screen, will cost $1,799 US. Pre-orders are open now and will begin shipping in about a week. 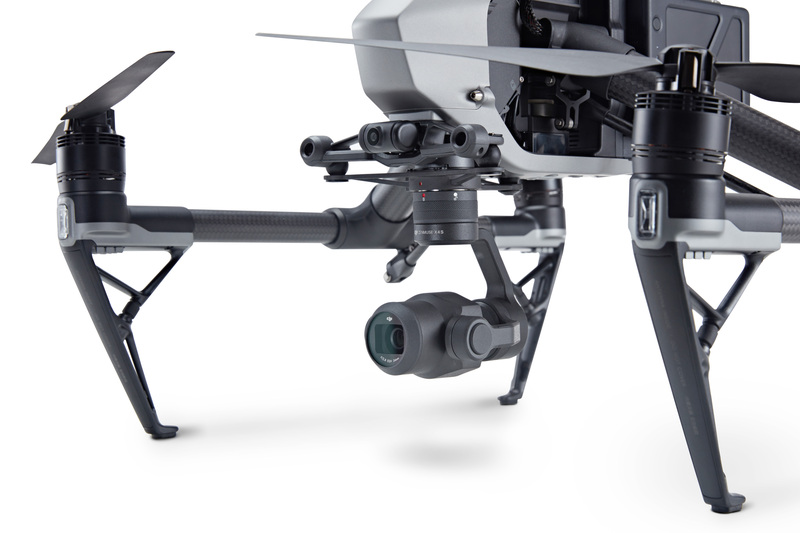 The Inspire 2 is significantly more expensive, starting at $2,999 US for just the drone. An Inspire 2 Combo bundles the aircraft with a Zenmuse X5S, and licence keys for CinemaDNG and ProRes for $6,198 US, knocked down to $5,999 US if you order before January 1. Combo customers will take priority and can expect their packages in time for Christmas – anyone ordering a new Zenmuse camera or Inspire 2 drone separately should expect to wait until January for shipping. There’s no official pricing or availability info yet for the standalone Zenmuse cameras, though that will probably change very shortly and we’ll update when we have it. 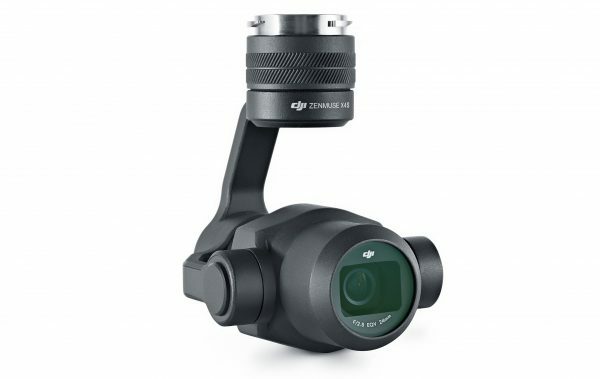 UPDATE: The standalone Zenmuse X4S is available to order at B&H for $599 US and the X5S for $1,399 US camera only or $1,899 US with DJI’s 15mm f/1.7 lens.